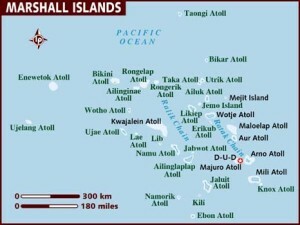 The Marshall Islands are located in the Central Pacific, north of the equator about 2400 miles southwest of Hawaii. 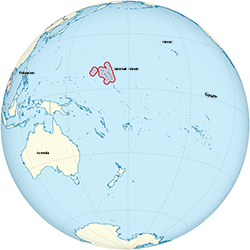 Physically this part of the Pacific is called Micronesia, meaning the little islands. 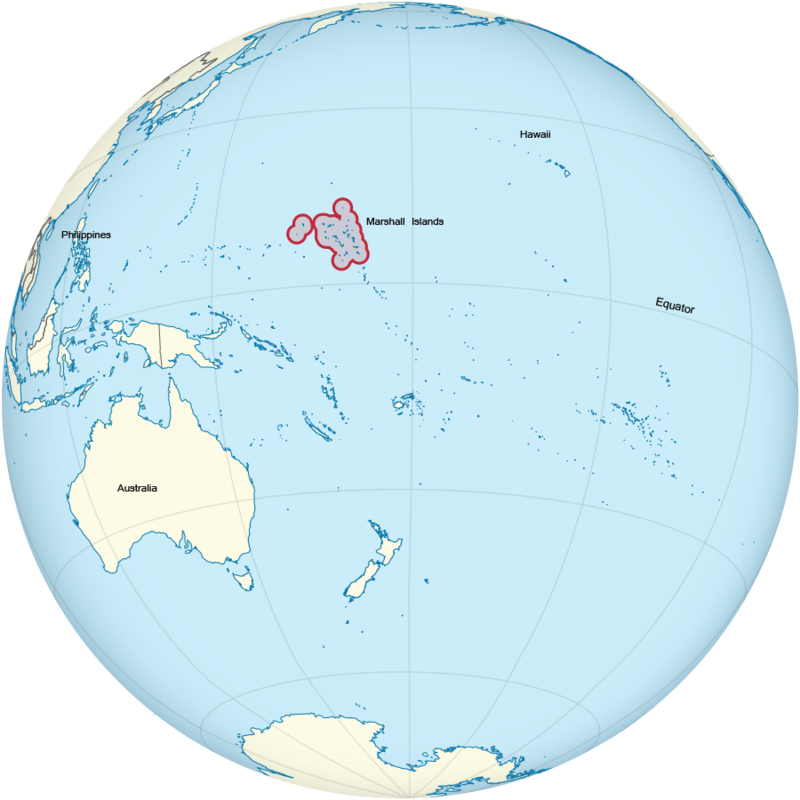 At present the Republic of the Marshall Islands is an independent country, under the Compact of Free Association with the United States. The Marshall Islands consist of 29 atolls (very flat, small islets or islands which enclose a lagoon), and 5 single islands (very small, flat islets of land), which are arranged in two chains — Ratak Chain (sunrise), in the east, and Rālik Chain (sunset) in the west. Most atolls consist of several islets or small islands which surround a lagoon and make up one atoll. The five single islands are very small and flat and have no lagoon. The total land area of the Marshalls is only 69 square miles, with a population of about 60,000 people.